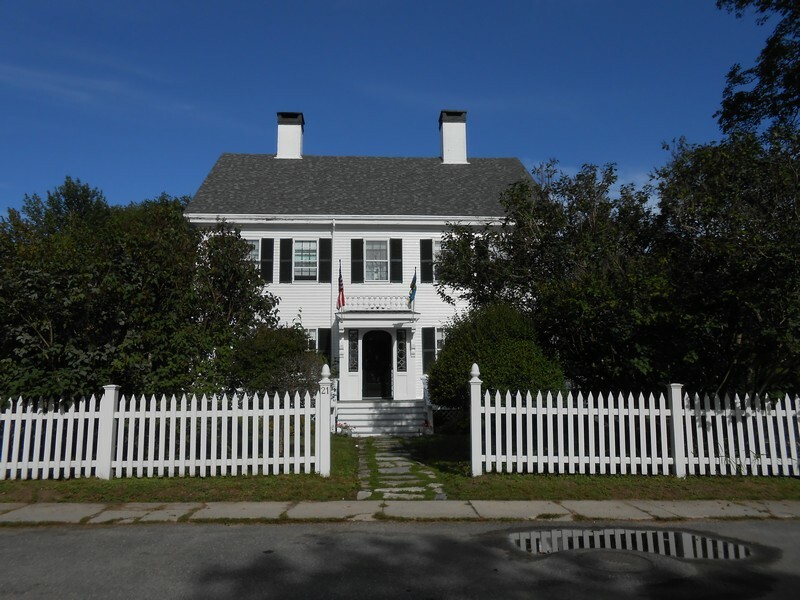 Whitney House, in Castine, built in 1810 by Henry Whitney for his bride Lucy Perkins on original Perkins land. The house remained in the same family until 1982, when the current owner acquired the property from the family. The house has been gradually updated, while maintaining the original charm. 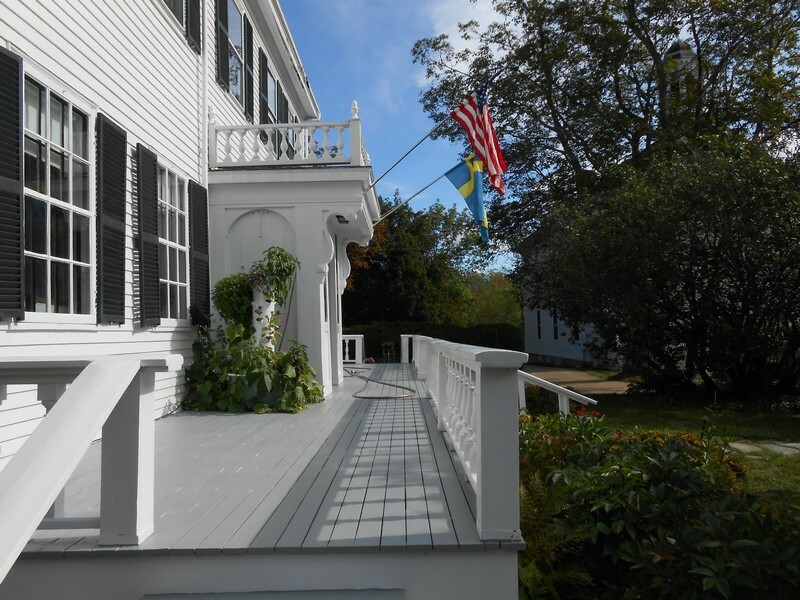 The House is located by the historic town Common, two blocks from the Castine Harbor and the Castine Yacht Club and also from the 1st Tee of the Castine Golf Course. The back of the property borders the 5th hole of the golf course and looks out over woods and fairways. The back and side yards are large and quite private. The house is a traditional colonial with two parlors, den and large dining room on the fist floor, and with the kitchen and laundry also on the first floor. There is also a half bath off the kitchen. Four bedrooms (three double beds, and one queen) are on the second floor. 2 bathrooms are located, in the Ell above the kitchen.